Umbra Nihil is an obscure metal act from Northern Finland. The birth of the band dates back to the year 2000. A demo containing 5 slow melodic & melancholic doomy tracks was recorded and sent to some chosen labels and magazines in 2002. Later on during the same year the songs were released on a split with Aarni by Firebox. After the release of the split Firebox offered the band a deal, which was accepted. 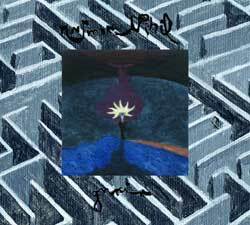 The debut album Gnoia was released in July 2005 on Firedoom. The songs featured on the debut Gnoia differ from earlier material in many ways. The new material is more varied than the material on the demo and the split. The band’s goal for Gnoia was to make music spontaneously, thus the material is varied, a ceremony of the opposites so to say. Ethereal and melodic parts are contrasted by grotesque and filthy moments, while psychedelic moments are contrasted by straightforward, gimmick-free metal parts. An unreleased song, 'Suur-Nikkurin Virsi' was recorded during 2006 and mixed thereafter. The song was recorded for an unreleased compilation that consists in its entirity of Lovecraftian songs by various artists. The Gelatinous Marauder - guitars, drums and the unnamed instruments, A Human Cocoon - BASS, Swinething from the Pit - Vocals (2006->), A Pulsating Lump of Arteries - additional guitars (solos).